Suppose your adult child comes to you with an intriguing idea for a new business—and needs some seed money to get the venture off the ground. Or maybe one of your children could use some help in buying a home or financing a college or graduate degree. You’ve probably taught your children the value of standing on their own two feet, and you may not be inclined just to hand them the cash they need—although you could make substantial gifts without paying federal tax on the transfer. The annual gift tax exclusion of $14,000 per recipient is doubled to $28,000 on joint gifts by a married couple, and you could provide literally millions tax-free if you used part of your lifetime exemption. An attractive alternative might be to lend your kids the money. Of course, they could try to borrow from a bank, but credit is tight these days, and you may not want them to be at the mercy of outside lenders. A direct loan from you would keep everything in the family, and it could potentially provide more flexibility for the borrowers. However, simply calling a transaction a loan isn’t enough. You’ll need to follow IRS guidelines for intra-family loans to avoid adverse tax consequences. Actually received interest in return. You’ll end up owing tax on that “phantom income” without actually getting any cash back. Obviously, that’s a situation you should try to avoid, particularly given that you can make a gift of substantial amounts without being taxed. There is one exception here that could ease the tax liability on interest income. If the loan is for $100,000 or less, the amount of interest you’re considered to have received annually for tax purposes is limited to your child’s net investment income for the year. And if that income doesn’t exceed $1,000, you won’t have to realize taxable interest income on the family loan. But this special exception doesn’t apply if you charge a below-market interest rate. Whether or not a rate is considered legitimate, in turn, depends on the type of loan, its length, and interest rates in your area. What happens if the loan isn’t repaid? 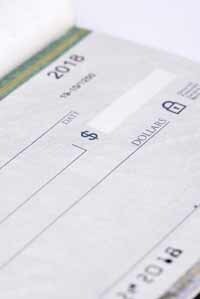 Assuming you truly expect to get the money back—in other words, the loan isn’t designed to be a gift to your child—it’s best to have a formal loan document drafted by a finance professional. The agreement should include the usual terms that would be found in a bank loan—for instance, it should state the amount of the loan; the term for repayment; the interest rate; and the collateral securing the loan. Finally, you should have the loan document witnessed and notarized. That’s the best proof you can have if the IRS ever challenges the transaction. But you’ll also need to keep records showing repayments to demonstrate that the arrangement is a bona fide loan. Suppose that you follow through with all the formalities of a loan, but at the end of the day your child can’t pay you back? Are you completely out of luck? In such a case, you may be able to turn the tax rules to your advantage, depending on the type of loan. If it’s a personal loan, you can treat it as a short-term capital loss when it becomes totally worthless—that is, the point at which you conclude there’s no reasonable prospect of repayment. If the loan came from your business, you may deduct the amount you lost as an ordinary loss, which you can use to offset ordinary income, such as your highly taxed salary. But in either case, the IRS may decide to put the entire transaction under the microscope. So again, you’ll need to be able to produce records that are airtight. Keep in mind that the IRS is especially tough on business loans. For instance, if you don’t have “clear and convincing” evidence that you’ve treated the loan as a business transaction, it may be deemed a gift. So don’t leave the tax consequences to chance. If you want to help your children and you don’t qualify for the special exception for loans above $10,000, make sure you observe all the technicalities.